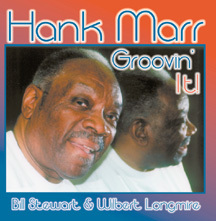 "This CD represents Hank's last recording and it was a pleasure to be able to play several tunes with his group. 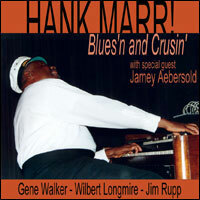 Gene, Wilbert and Jim were regulars with Hank and their group is well documented in the Midwest via their numerous performance over the years. They also played at the annual International Association of Jazz Educators conventions and would bring the house down with their group effort." - Jamey Aebersold. "But I never once thought about being in music to get a big name or record all kinds of records," Marr said in a 1990 interview. "I just wanted somebody to enjoy what I did." "The songs on this record are an excellent example of the way Hank thought about music: ballads, blues, and bossa novas, up tempos, standards and originals. These were all a part of Hank's repertoire.